Craft burgers, gourmet grilled cheese, artisan cupcakes, and fresh pizza are just a sample of the 12 new offerings now available in the oldest continuously operated market house in U.S.
Harrisburg, PA (June 1, 2016) – The historic Broad Street Market in Harrisburg’s Midtown Neighborhood has continued its revitalization in the past year by welcoming 12 vendors that bring a new wave of pop-culture and artisanship to the diverse mix of 40 merchants. 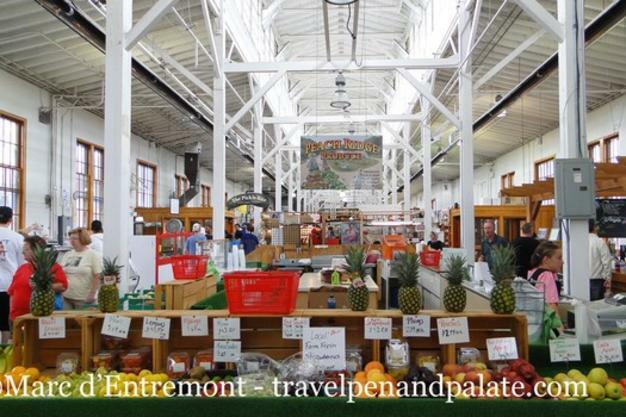 The Broad Street Market was founded in 1860, a year before the American Civil War began, and it has the distinction of being the oldest continuously operated market house in the United States. After 156 years, the market continues to serve as the cornerstone of the city’s quaint Midtown neighborhood where locals and visitors can find locally-grown and organic produce, meats, baked goods, and freshly prepared meals. Today, the market is surrounded by a popular local gathering spot called the Midtown Scholar Book Store, the new Susquehanna Art Museum, The Millworks Restaurant & Artist Studios, Midtown Cinema & Urban Churn Ice Cream, and Zeroday Brewery. 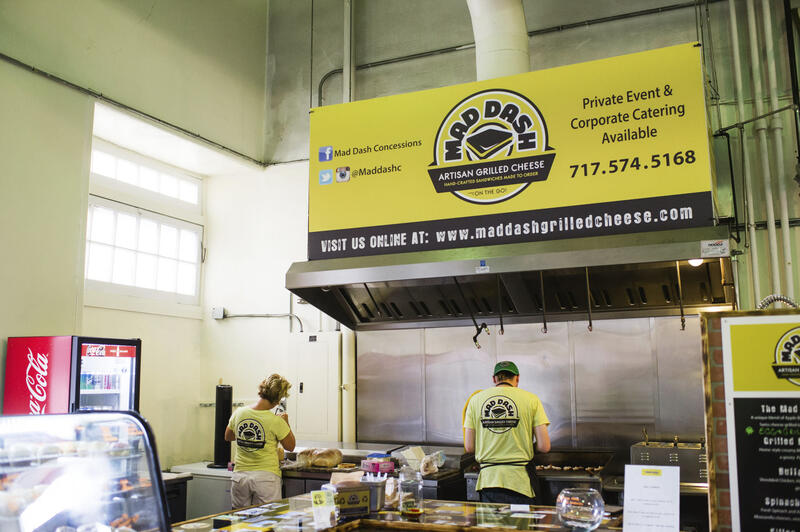 Mad Dash Concessions - a local food truck business that specializes in gourmet grilled cheese sandwiches. Mad Dash shares space with fellow food truck business, Sugar Whipped, which offers cupcakes and full-sized cakes to market shoppers. 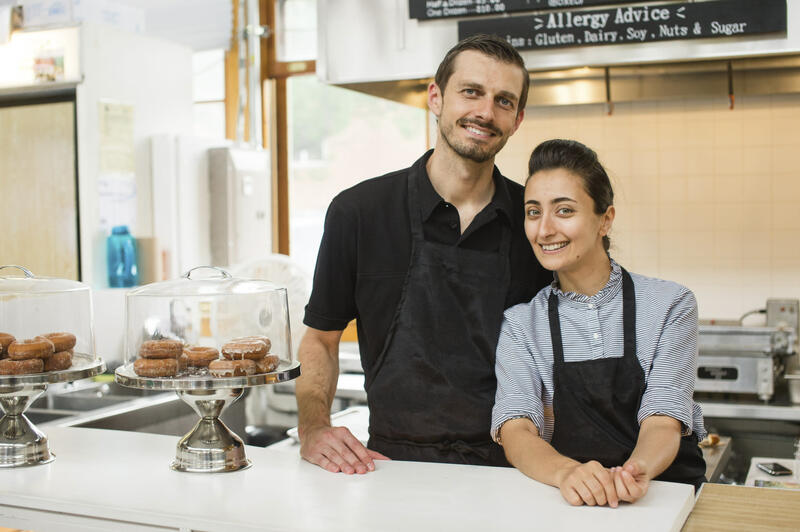 Sugar Whipped makes vegan, sugar-free and gluten-free items in addition to their traditional cakes. 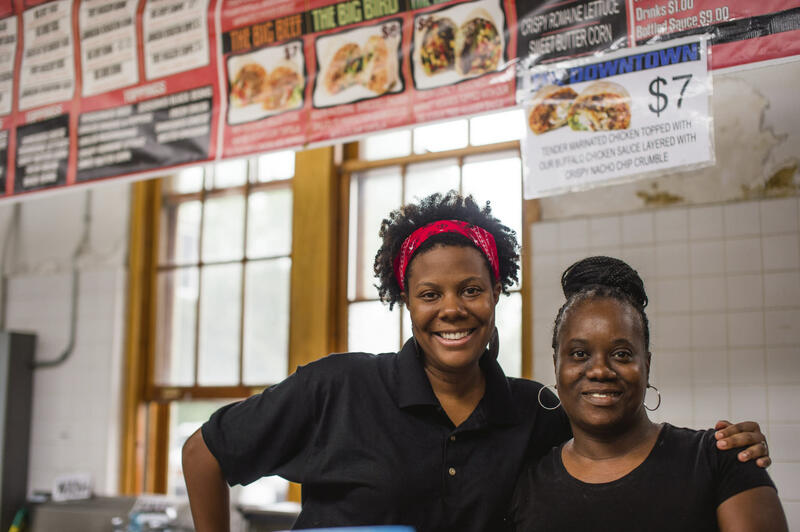 Located in the front corner of the stone building, these ambitious food-truckers are making the Broad Street Market a permanent location. Pictured below. 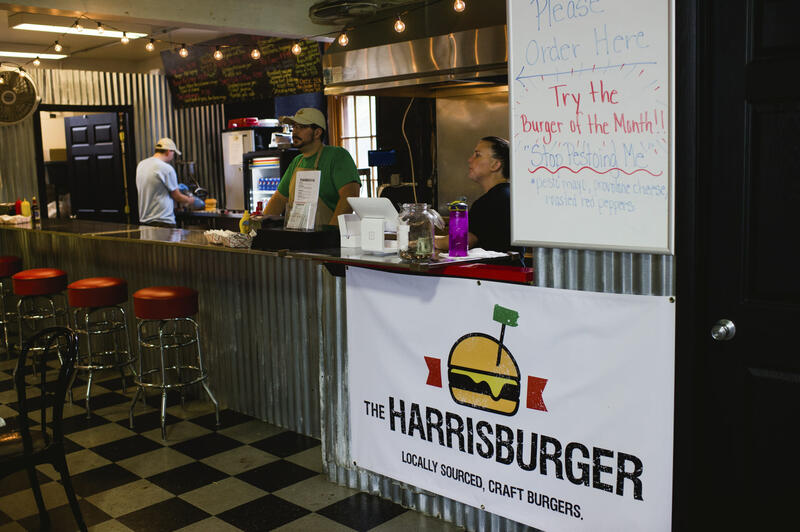 The Harrisburger - is a locally sourced and hand-crafted burger joint which will offer customers with creative hamburger options. 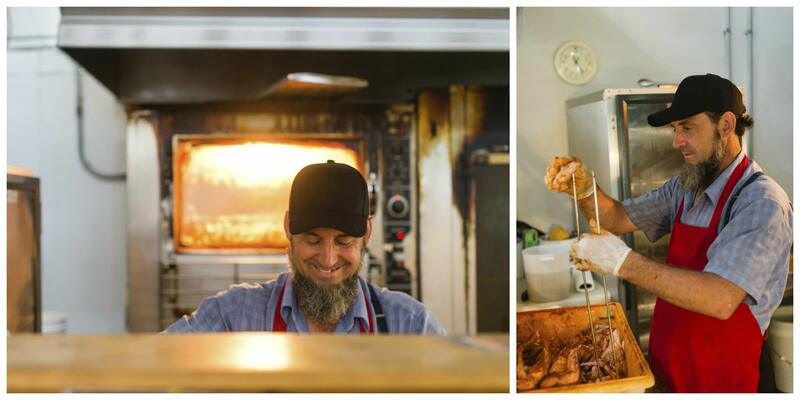 The Harrisburger proudly purchases the majority of their ingredients from fellow market vendors like Hummer’s Meats. Pictured below. Kubtini – is a deli and pizzeria bringing some new prepared food options into the brick market house from pizza by the slice to whole pies, pierogies, sandwiches and Italian entrees. 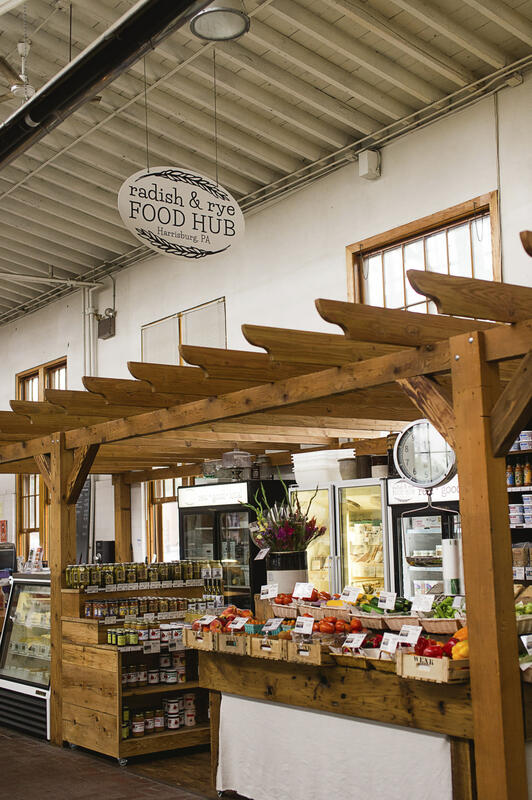 Radish & Rye Food Hub – is a food stand that sources its produce, meats, dairy and more from farms in the central Pennsylvania region. Pictured below. Apple Dumplings, Etc. – is where you will find delicious apple dumplings and other baked treats including cheese cake and some other freshly baked items like cookies and brownies. 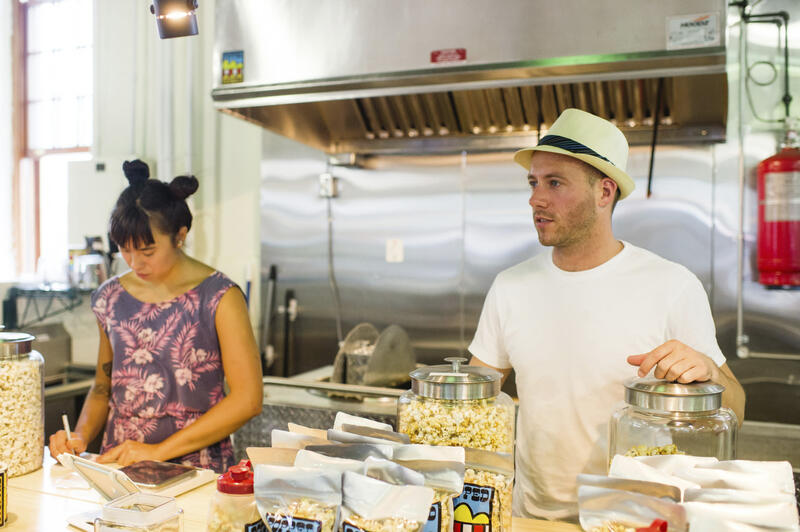 Popped Culture – is a new gourmet popcorn stand with a social mission to help starving children by donating their popcorn to existing children’s programs put in place by hunger relief providers. Popped Culture donates one bag of popcorn for each bag a customer buys. Pictured below. Evanilla – specializes in fresh cake donuts with specialty toppings. The vintage stand promises to impress the toughest of donut connoisseurs. Pictured below. Fudge-O-lutely – this bright and vibrant stand holds on tightly to their old-fashioned recipe with new-fashioned flavors. There is nothing more satisfying than a delicious, creamy piece of fudge and with Fudge-O-lutely you&apos;ll find only the finest quality of homemade fudge and fudge treats. Tasty Dishes – offers authentic African-Cuisine dishes from West Africa prepared with love and served fresh by husband and wife team Alice and Ope Ayobandele. Abrams & Weakley – this stand offers freshly made dog treats, pet supplements and other goodies for your furry friends. The owners promise a superior selection of high quality, human grade, holistic and nutritious pet foods, treats, and supplements as well as sound individualized nutritional advice. The stand also offers professional pet grooming services in a calm environment, and assist pet owners in finding necessary resources to keep their pets happy. Two Brothers BBQ – Pictured below. Porter’s House – while not new to the market, this is a popular place for locals seeking authentic Jamaican cuisine with unique dishes like oxtails, fried plantains, and coco-bread. Breakfast is also served with dishes such as ackee & cod fish and porridge; and featured drinks include sour-sapp nectar, mango and guava nectar. Definitely worthy of the note-worthy listings of top offerings at the market. Soul Burrito – this a family-owned and operated business offers bold, bright flavors from around the world and incorporates them into a Burrito. The owners pride themselves on purchasing fresh local meats and vegetables while delivering excellent customer service. We would agree with local loyalists to Soul Burrito who testify these aren’t your everyday burrito’s - these are Burrito’s with a touch of soul in every bite. Pictured below.